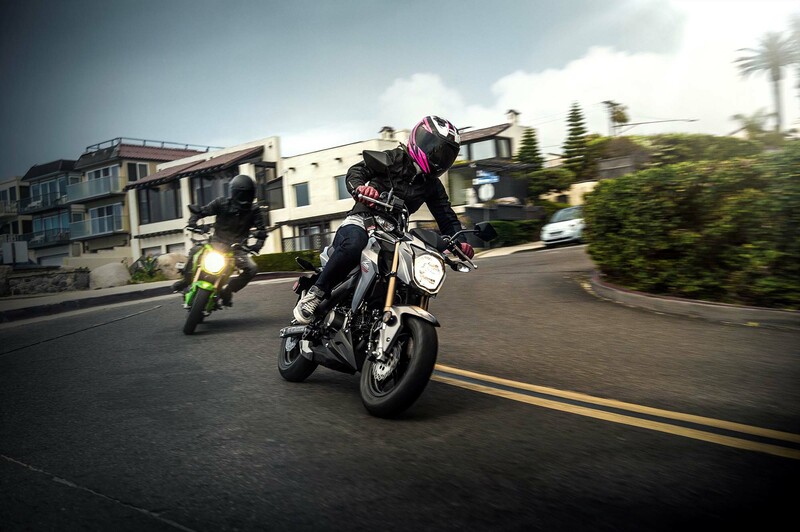 On paper, the 2017 Kawasaki Z125 Pro stacks up quite well against the Honda Grom. 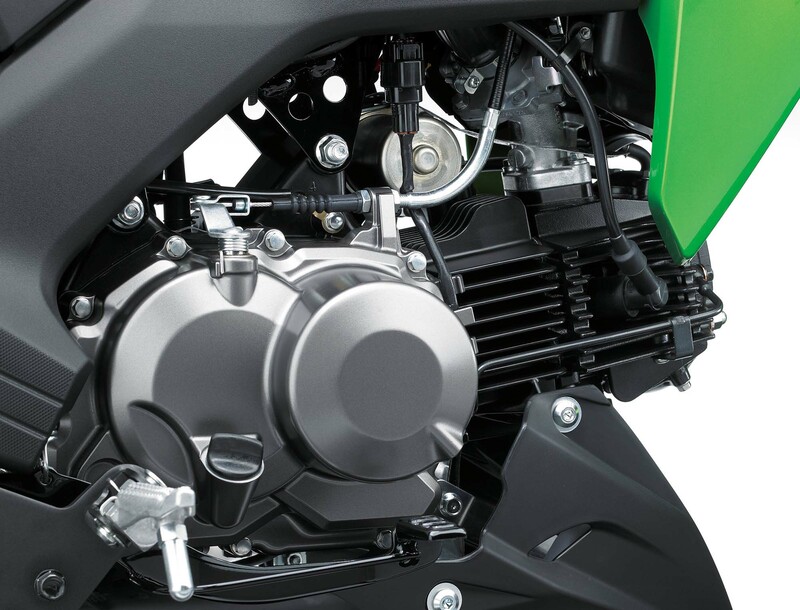 They both feature a 125cc, air-cooled, two-valve, four-stroke engine, and weigh roughly the same amount, 225 lbs. 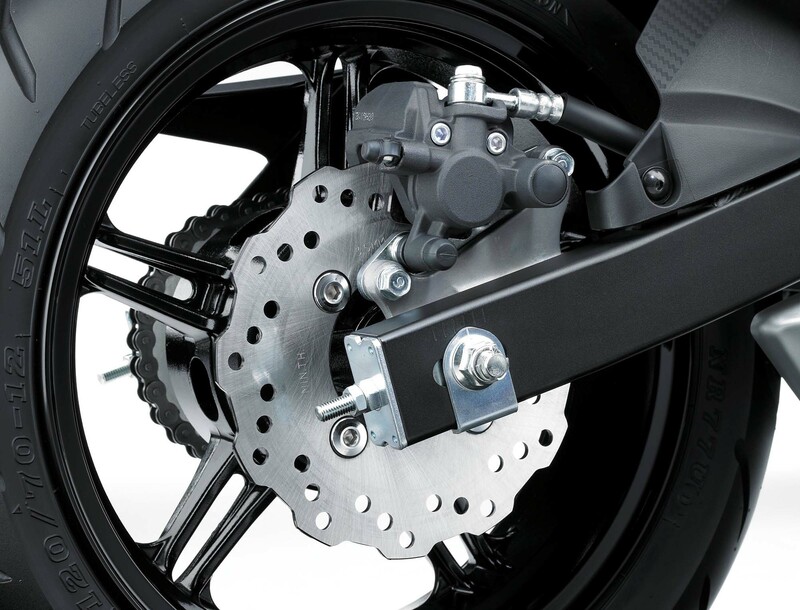 They both also have a four-speed gearbox. 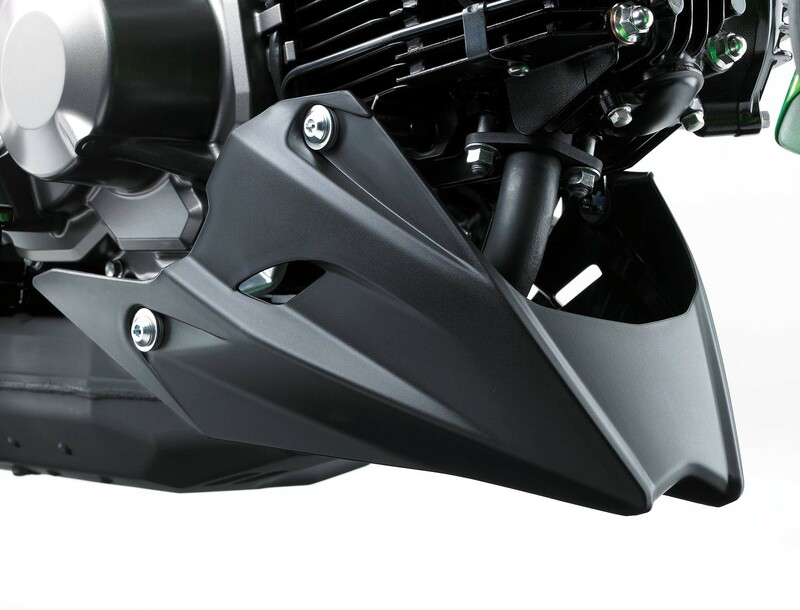 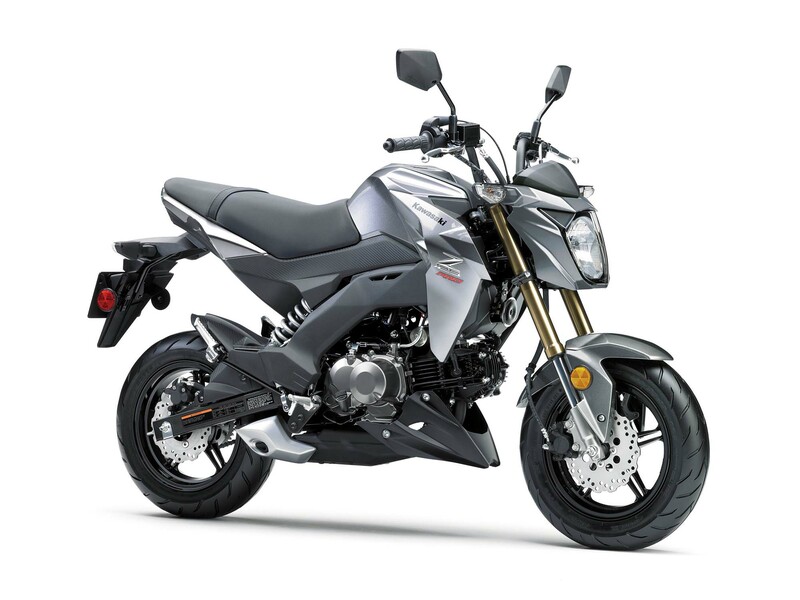 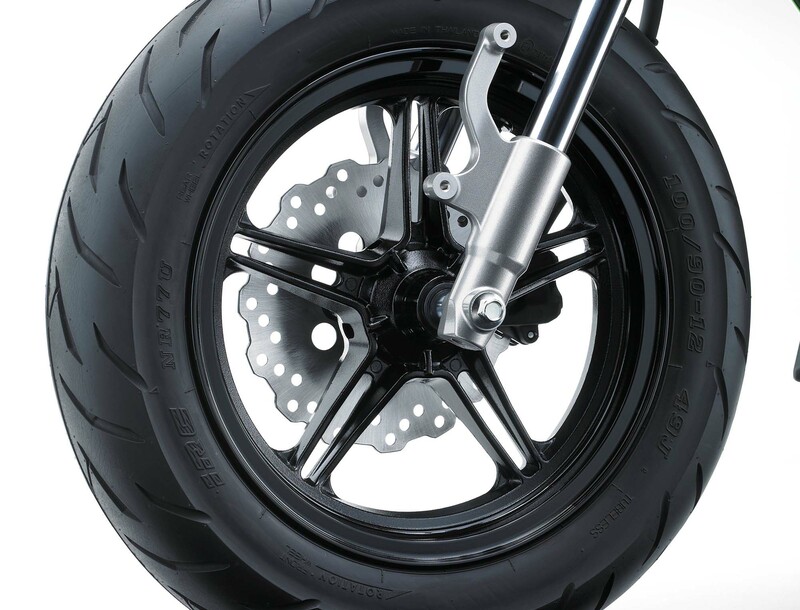 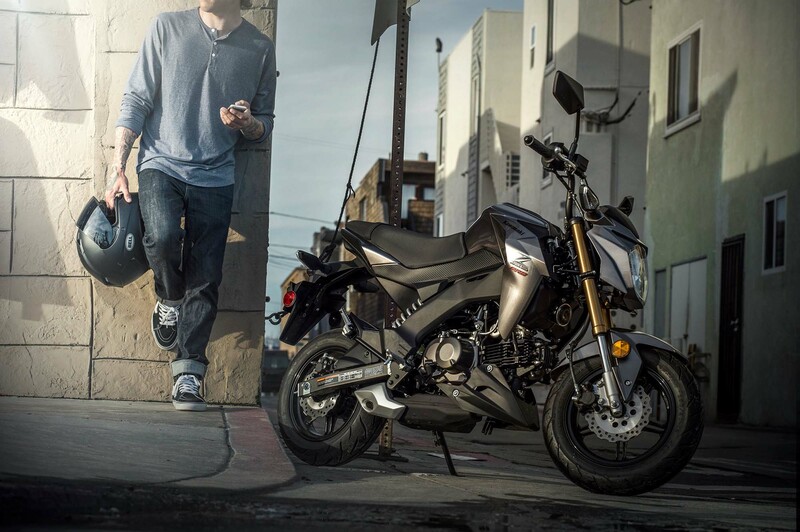 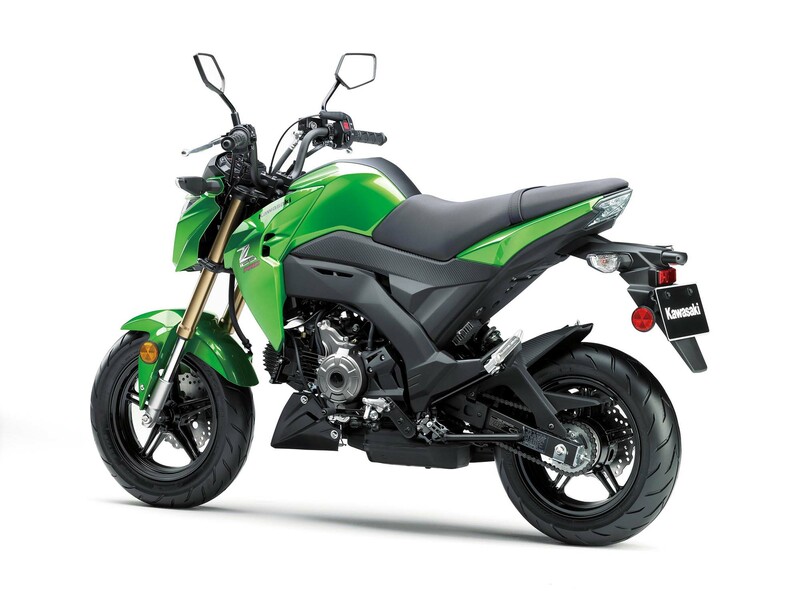 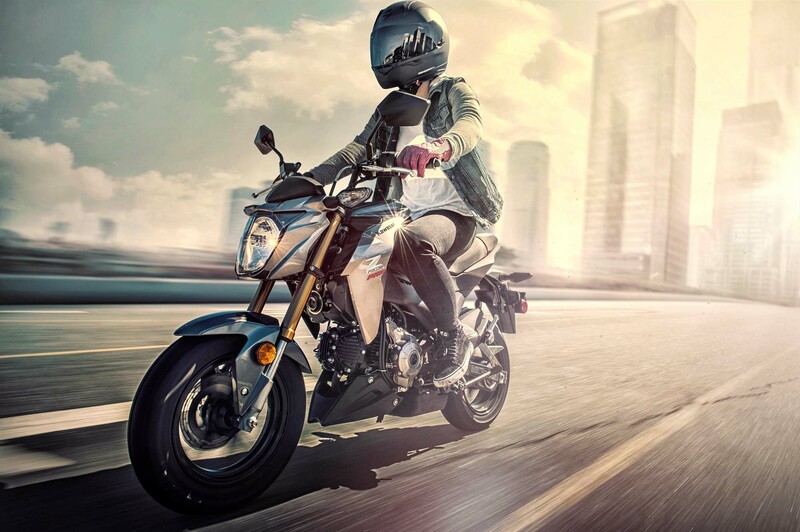 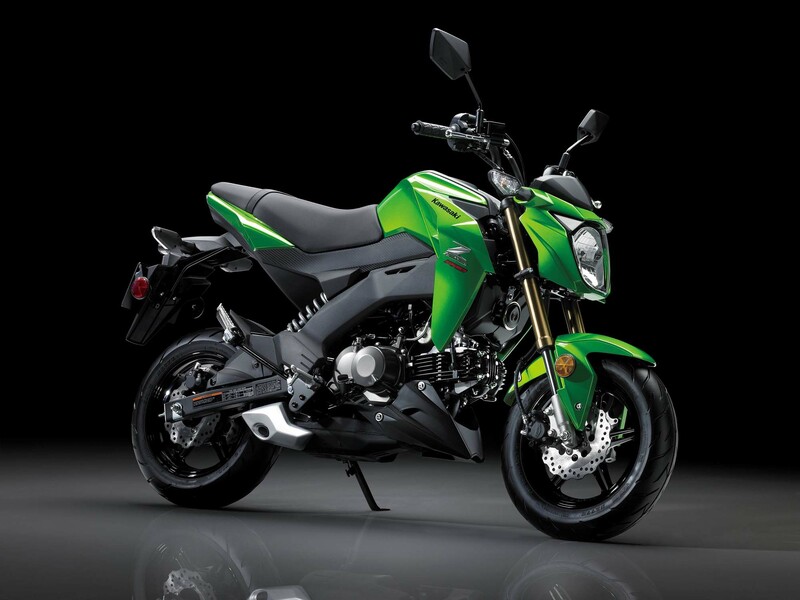 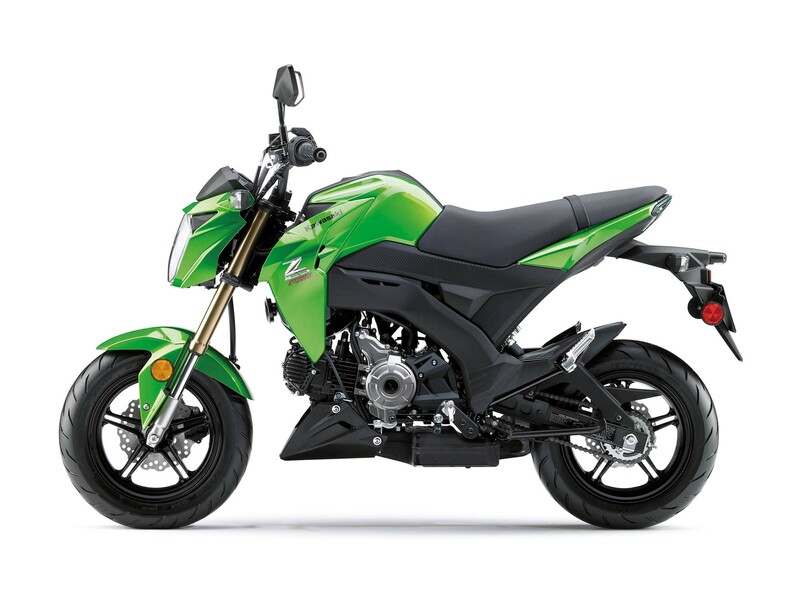 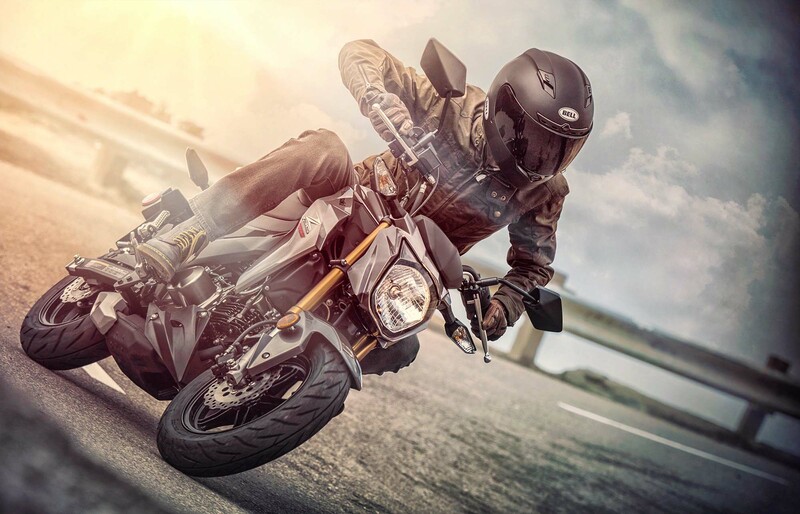 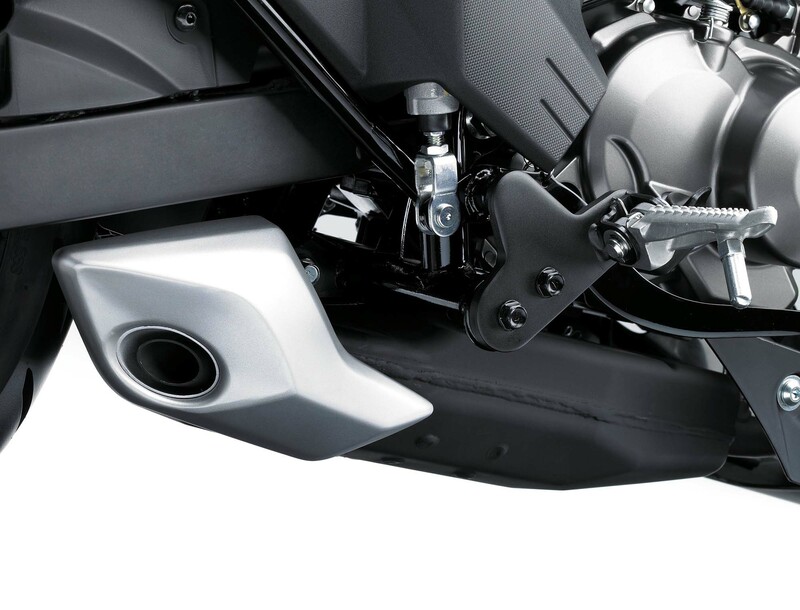 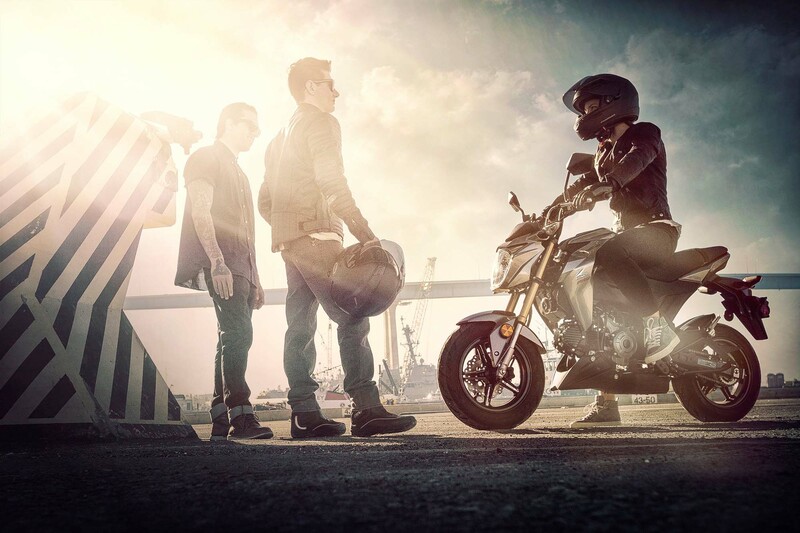 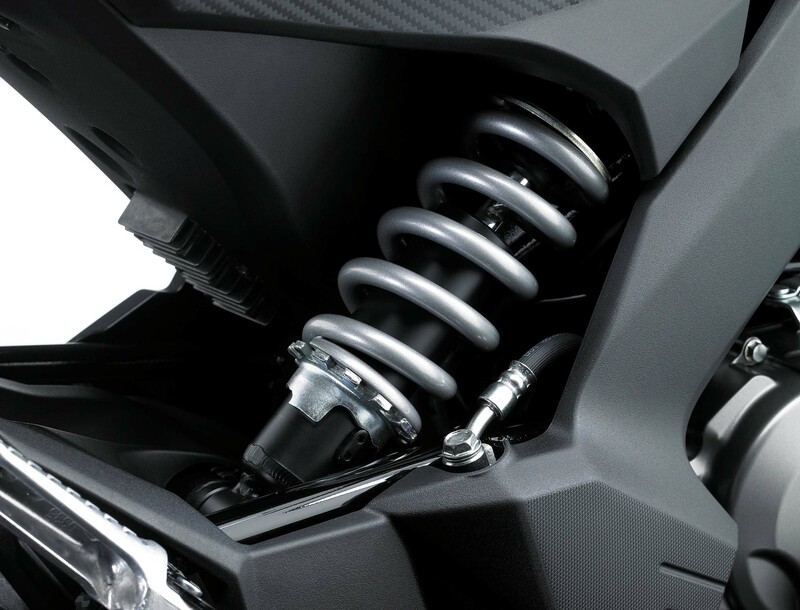 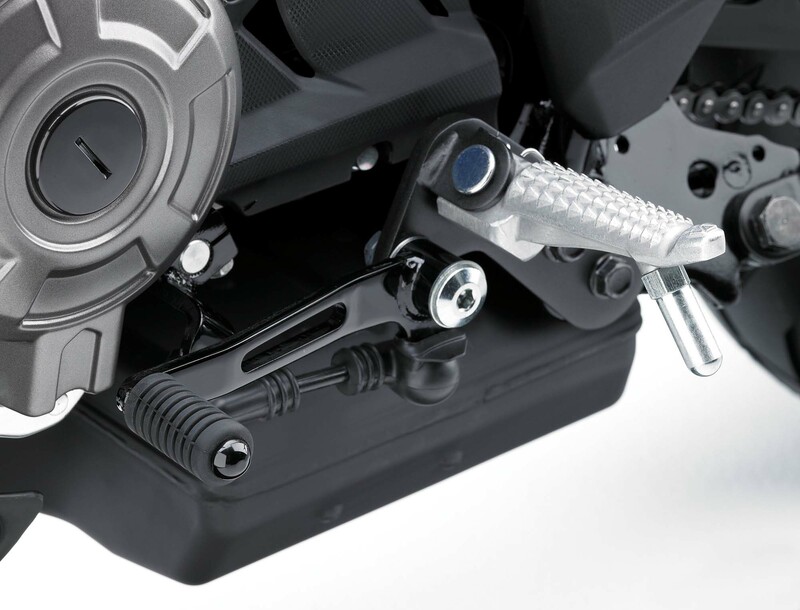 The Z125 Pro is slightly more over-square than the Grom, and it boasts a higher compression ratio. 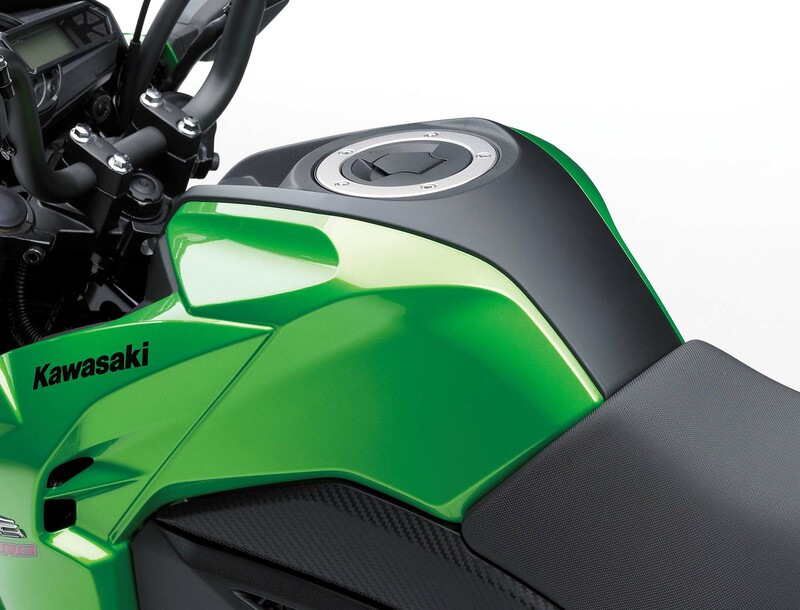 As such, we would expect the pint-sized bike from Team Green to make a little bit more horsepower than Big Red’s machine, though that might be splitting hairs considering the relatively low numbers from both bikes. 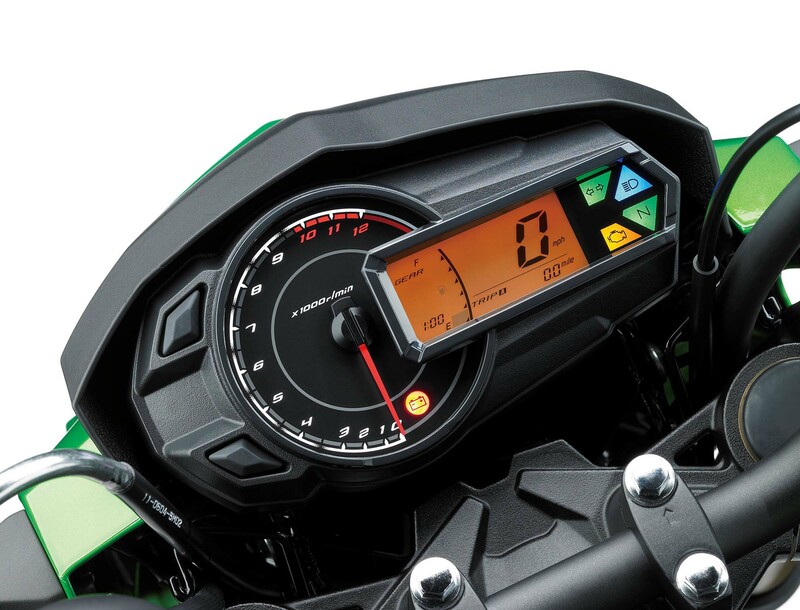 Pricing though is very aggressive. 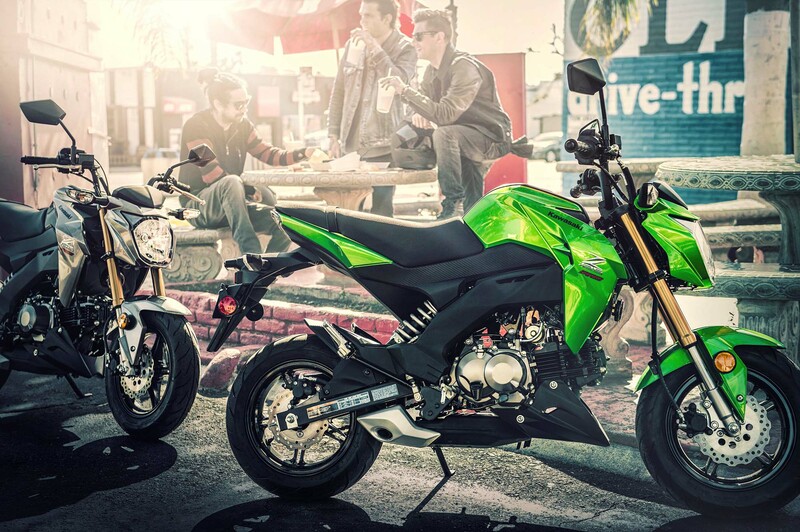 The 2017 Kawasaki Z125 Pro is listing at $2,999 whereas the Honda Grom goes for $3,199 MSRP. 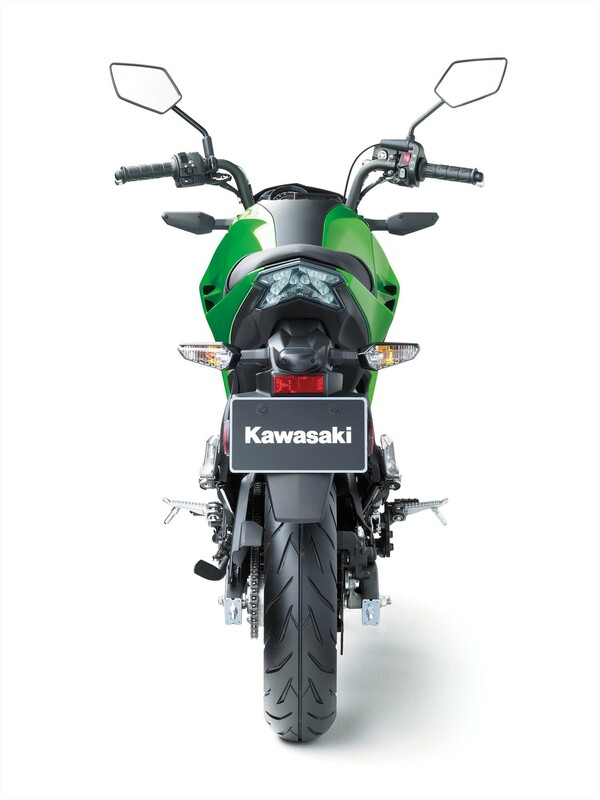 As such, it is clear that Kawasaki is swinging hard towards the fences, against the Honda. 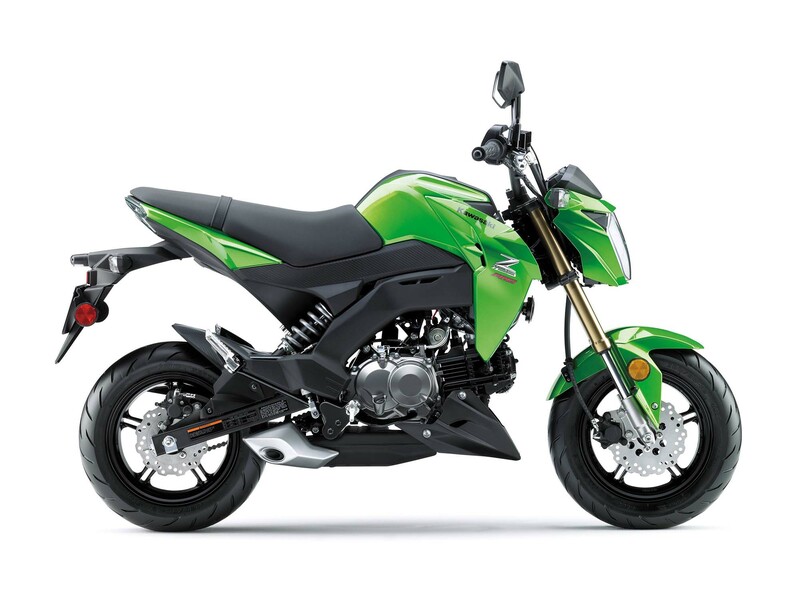 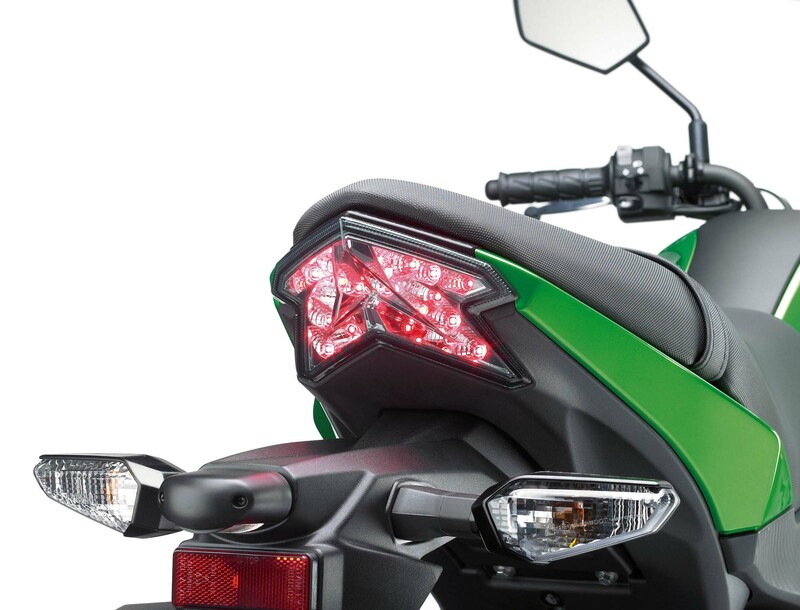 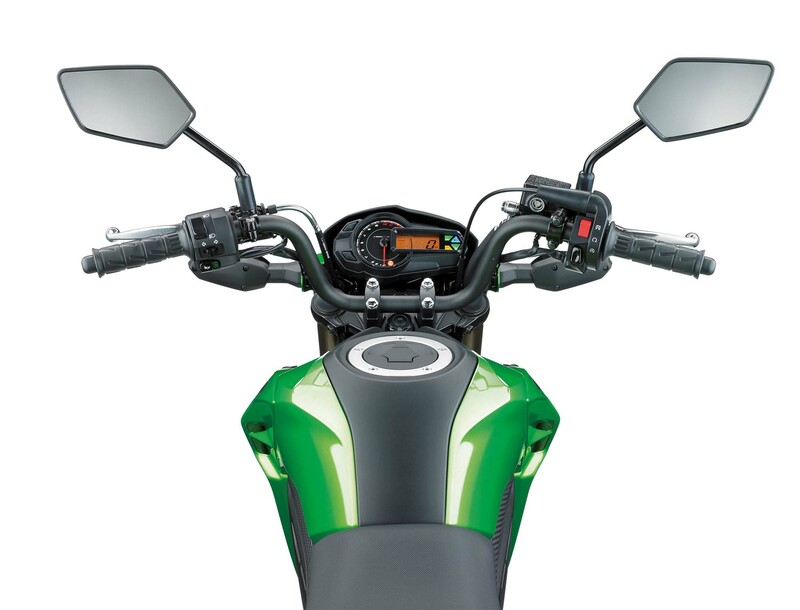 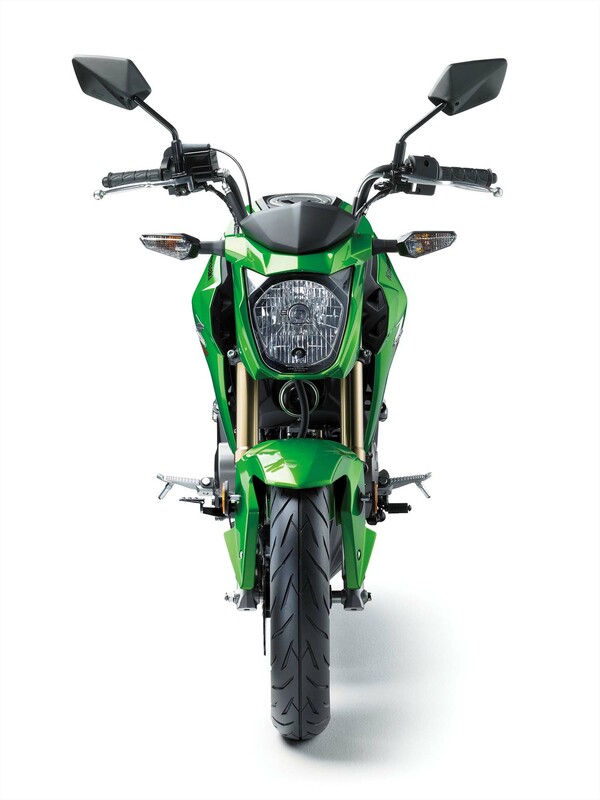 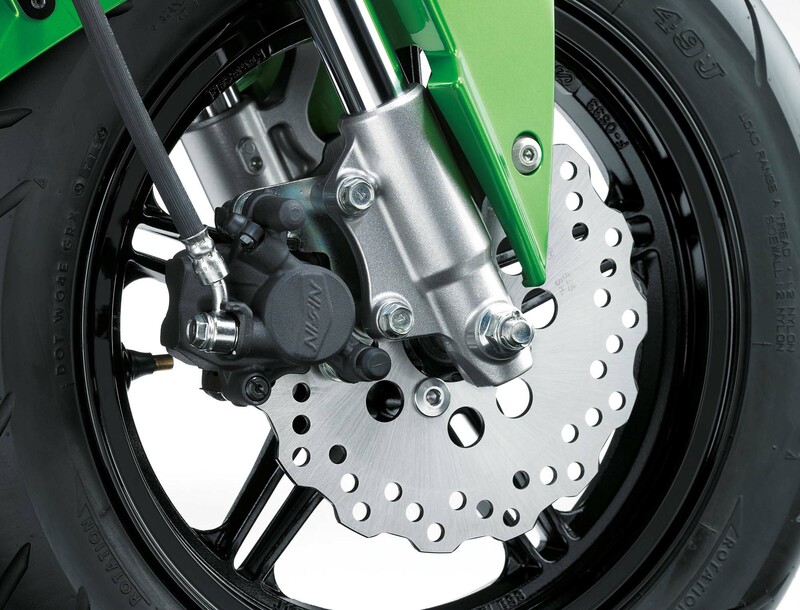 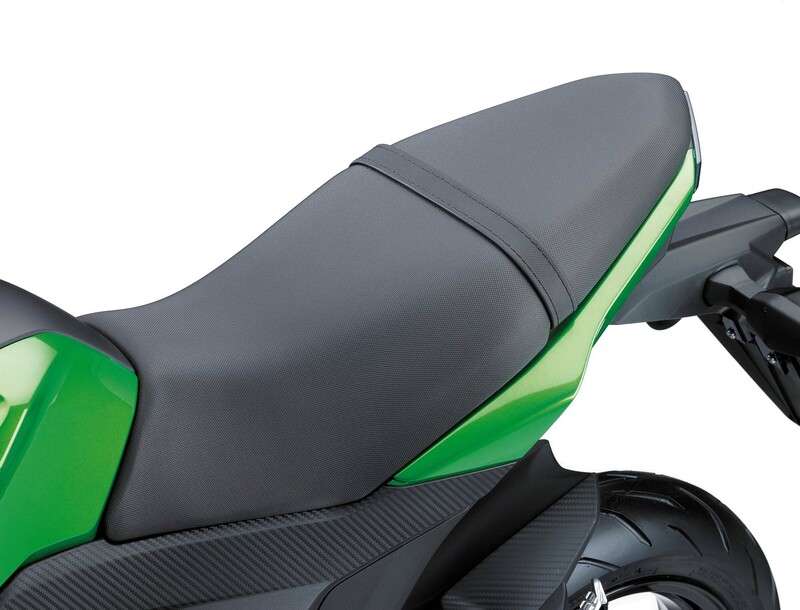 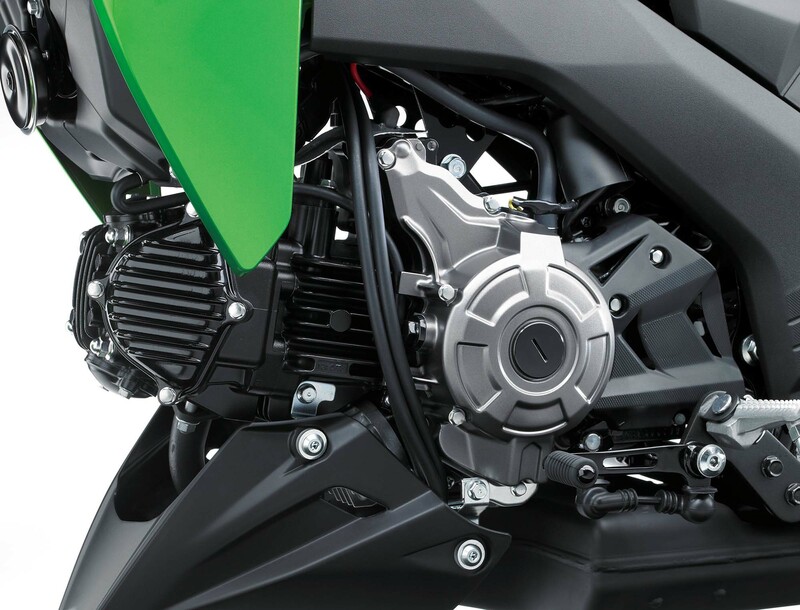 Kawasaki says that the Z125 Pro is suited for two-up riding, though we imagine few riders will test that statement. 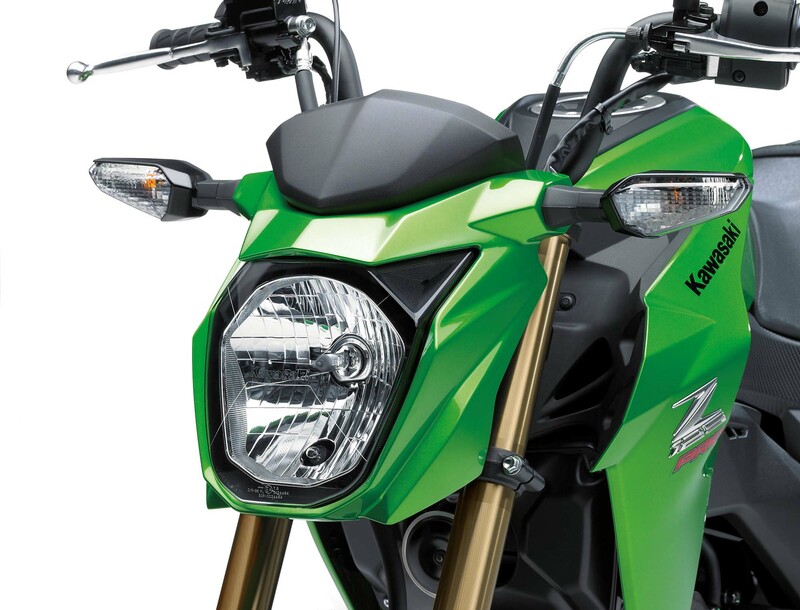 Still, the 2017 Kawasaki Z125 Pro is an attractive piece of kit, that promises a considerable amount of smiles per dollar. 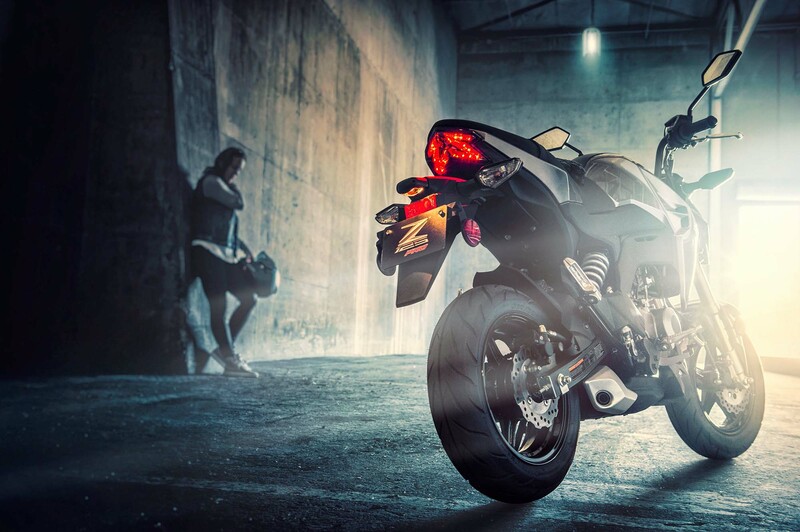 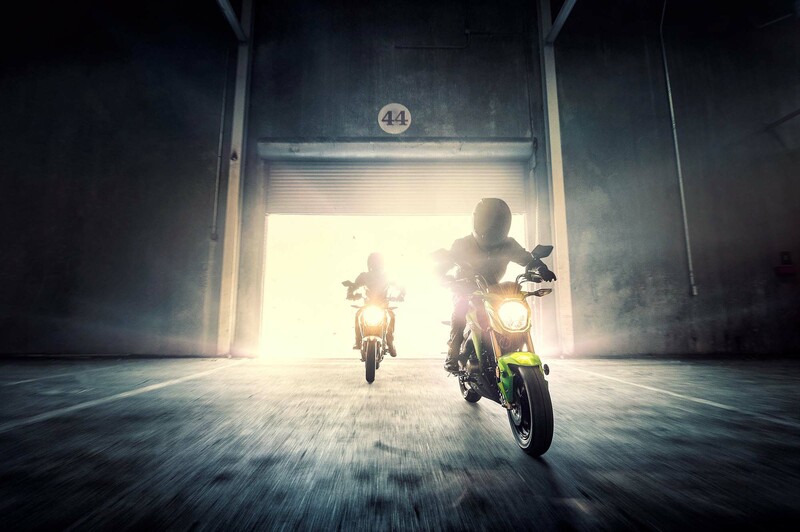 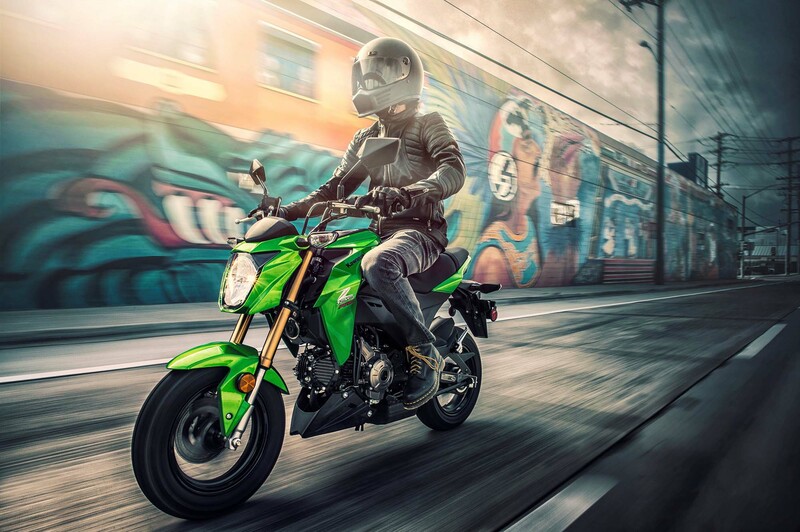 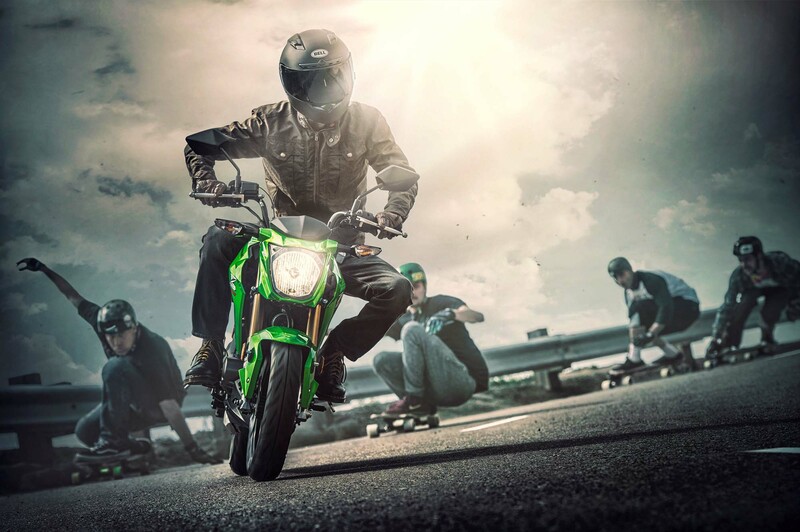 If the early sales of the Grom are any indications of how the Kawasaki Z125 Pro will perform for dealers, you might want to get your deposit in early, if the Z125 Pro speaks to you. 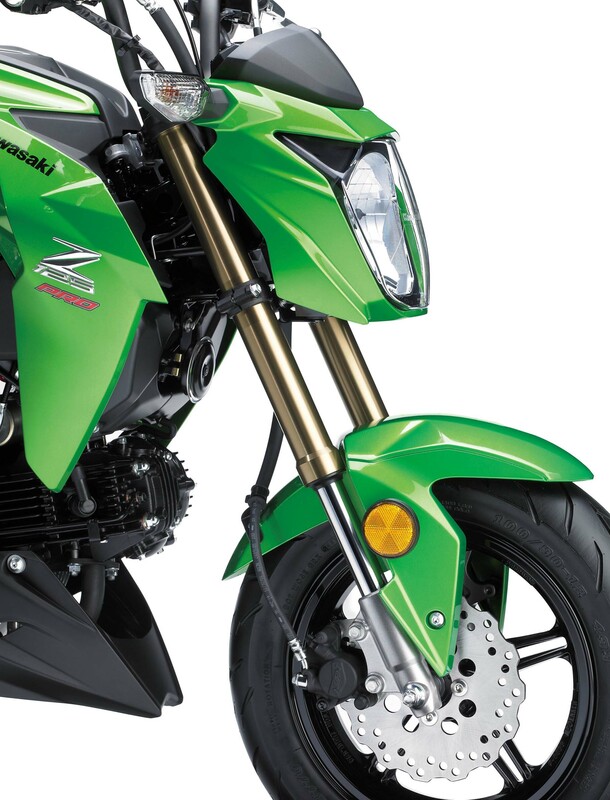 Kawasaki will likely sell out of them in their first year. 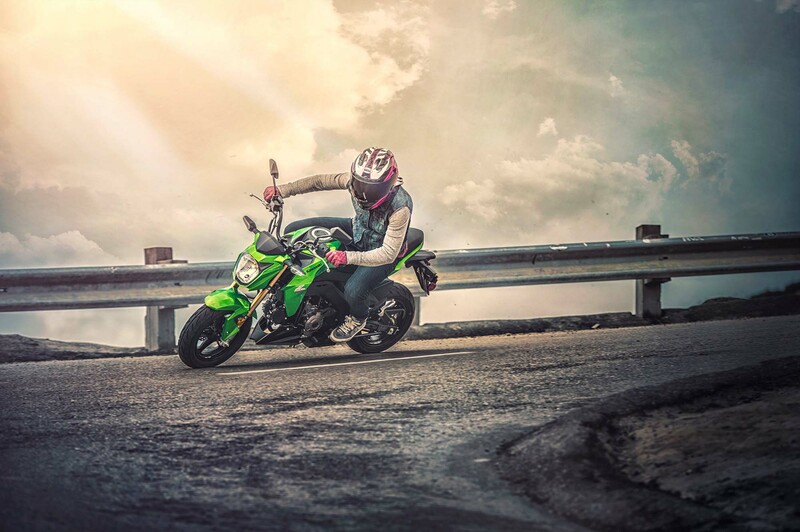 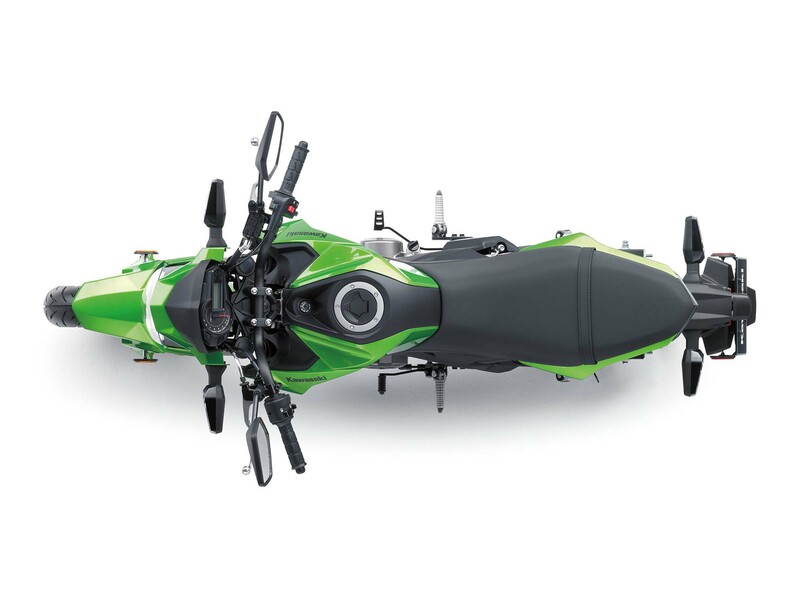 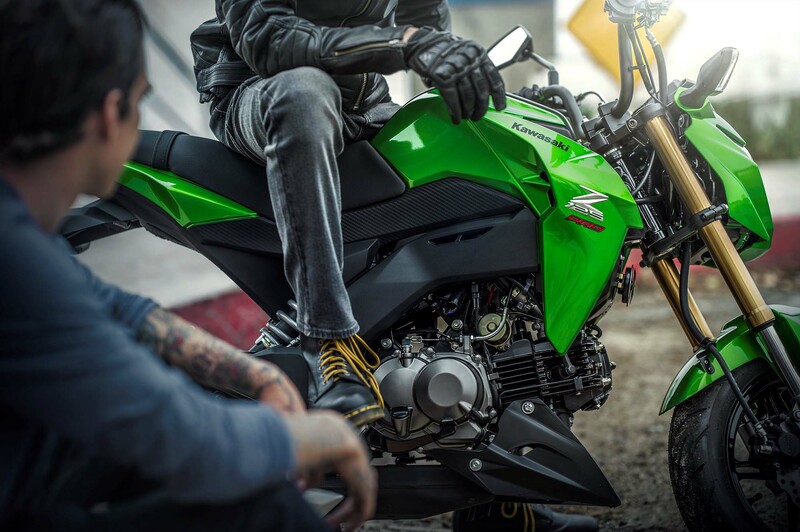 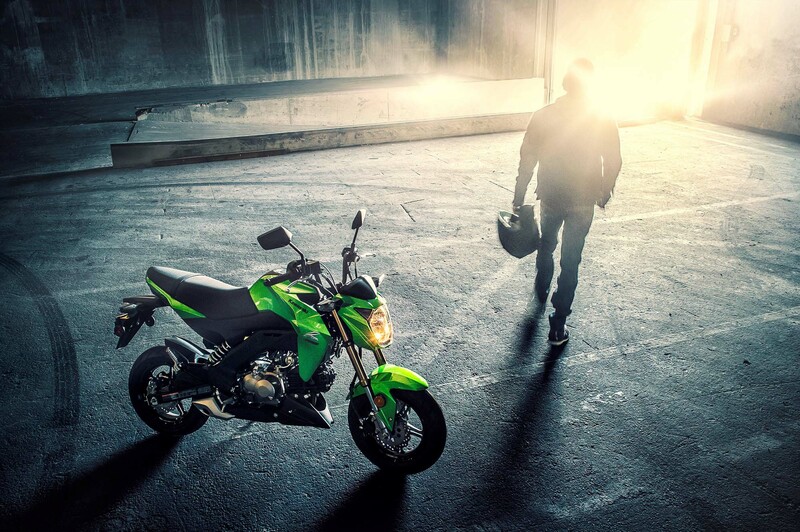 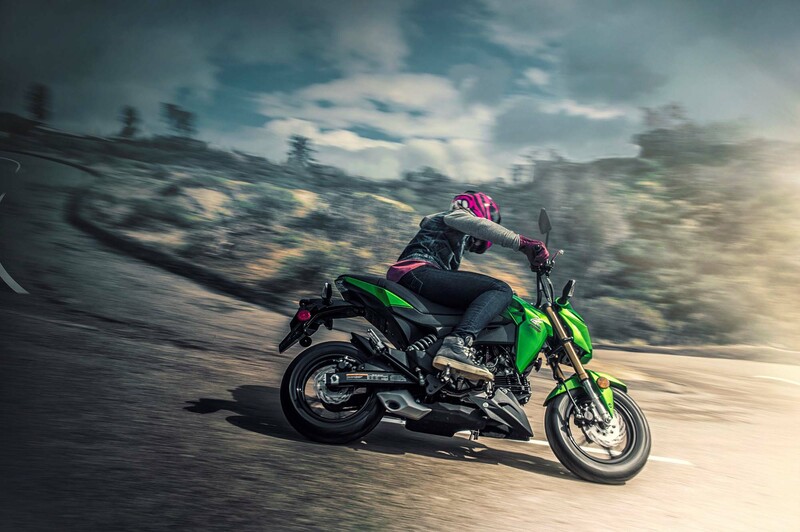 With all the movement we have seen in the small-displacement space over the past few years, perhaps it is bikes like the 2017 Kawasaki Z125 Pro that will shift the priorities of Americana riders away from the “bigger is better” mantra. 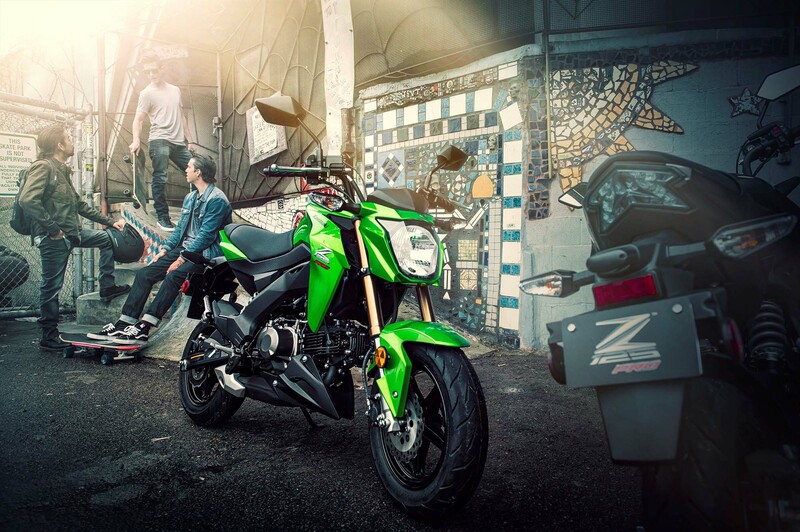 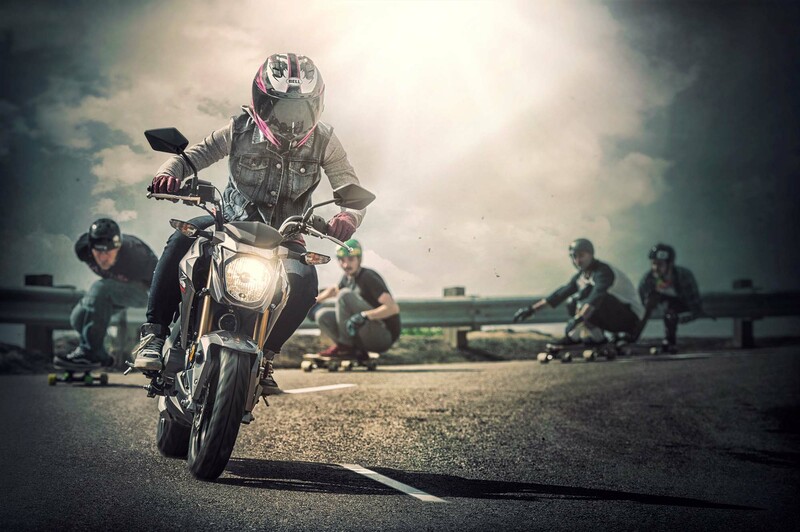 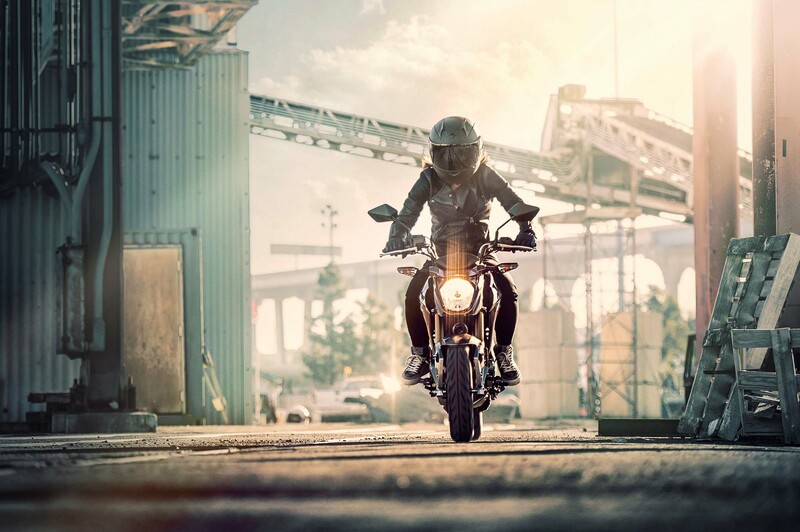 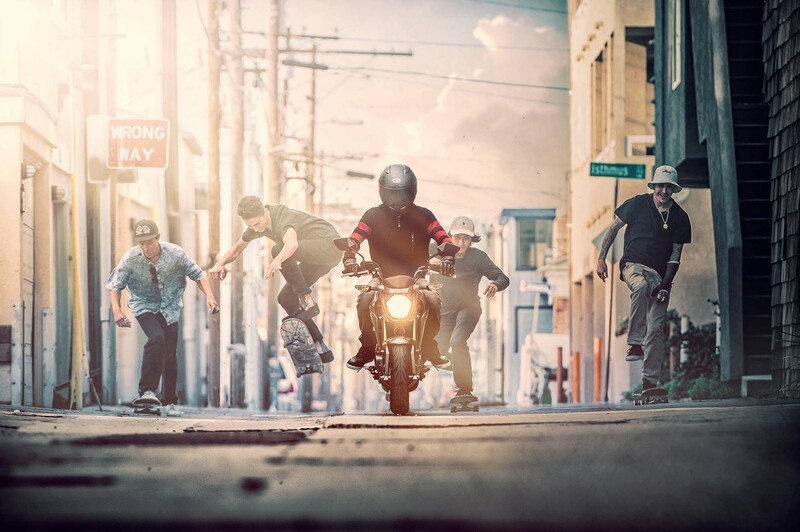 After all, if you’re not having fun on a bike like the Z125 Pro, you’re probably doing it wrong.